The British General Election of 2017 is the definitive and authoritative account of one of the most dramatic elections in British history. 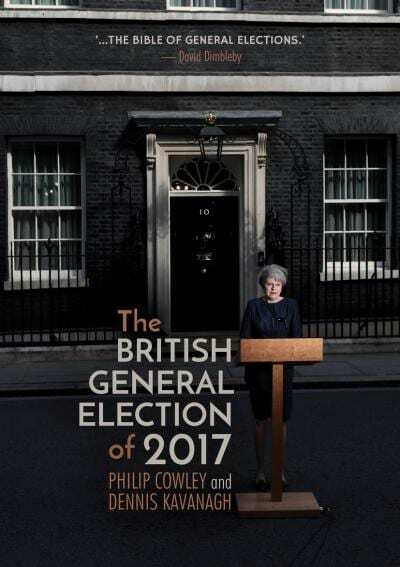 Written by leading British politics experts Philip Cowley and Dennis Kavanagh, it is the 20th edition in this prestigious series dating back to 1945. Drawing on hundreds of interviews, with unparalleled access to all the key players, the book offers a revelatory guide to what really happened during the surprise snap election. It weaves an insiders' account of how events unfolded, backed by an unrivaled collection of data on voting, the press, and the candidates. Once an election is over and it is possible to talk openly with the participants, there is usually a broad consensus about what happened, despite the inevitable complexity of an election. But not this time. Cowley and Kavanagh found little agreement about why the 2017 general election turned out as it did, particularly within parties. During interviews, the phrases used by insiders about supposed comrades or colleagues were often cruder, and more industrial, than those about their supposed opponents. This book explores this phenomenon and works to unpick the story behind the chaos of this monumental election. It details how the Conservative campaign came unstuck, with Number 10 aides bitterly regretting the miscasting of May as their original plan for her to be the candidate of 'change' was cast aside by Lynton Crosby. It shows how a Labour campaign designed to save Jeremy Corbyn's leadership against an ex-pected challenge ended up with him nearly entering Number 10, with the closeness of the result being a shock to him and his aides. And it discusses how the shadow of the Brexit referendum hung over the election, shifting significant numbers of Labour and Conservatives from their traditional loyalties.